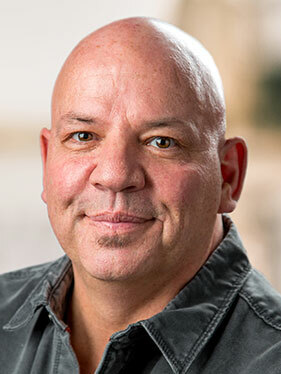 Fusion92 today announced it has appointed agency veteran Doug Dome as president. Dome (www.linkedin.com/in/dougdome) will report to Fusion92 Founder & CEO Matt Murphy and will be responsible for managing the Chicago-based marketing innovation agency’s day-to-day strategy, planning and execution. Throughout his career, Dome has helped many agencies and brands achieve new levels of innovation and growth. With extensive agency and marketer experience in integrated marketing communications, Dome has held numerous senior agency leadership roles and has worked with many of the world’s most iconic brands. Previously, Dome served as the founder of Core7, Inc., a Chicago-based start-up venture seeking to engineer the optimization of integrated marketing communications ecosystems by leveraging artificial intelligence and machine learning to create industry-specific master algorithms. Dome’s past senior agency leadership roles include president at All Terrain; president and chief creative officer at Gigunda Group; managing principal and chief creative officer at Carmichael Lynch Spong; and managing director, Impact PR and Events at FCB Chicago. Dome also founded and managed premier public relations agency Dome Communications, where he pioneered a culture-based business model that helped drive the industry to new levels of creativity. The agency was acquired and merged with Hill & Knowlton in 2004 to form Dome HK, where he was president and served as U.S. creative director as well as on the agency’s executive committee. Dome has also worked with global brands across a variety of highly competitive industry sectors, including launching more than 50 new national products for such leading brands as Allstate, Anheuser-Busch, AT&T Wireless, Chase, Conagra Foods, Coors, Dean Foods, Gallo, General Mills, General Motors, Harley-Davidson, Hershey’s, Hillshire Brands, Home Depot, Hyatt, Jim Beam, Johnson & Johnson, Kellogg’s, Kimberly-Clark, Kraft, Mars, PepsiCo, Procter & Gamble, Quaker Oats, SC Johnson, Sara Lee, Sears, Serta, Toyota and Wrigley, among many others. For the past 14 years, Dome has also served as an adjunct professor at the University of Chicago, Graham School, where he teaches the capstone Managing Integrated Marketing Communications course as part of the IMC Certificate Program. Dome holds an M.M. in Marketing and International Business from Kellogg School of Management at Northwestern University and a B.A. in Business Administration and History from Alma College. About Fusion92 - Founded in 1999, Fusion92 is a Chicago-based independent marketing innovation agency that focuses on helping growth-stage and FORTUNE 500 companies across a number of industries including financial services, CPG, telecommunications and automotive. As a full-service agency, Fusion92 partners with its clients on consumer engagements that span both traditional and digital media, leveraging our talents in user experience, design, technology and media.